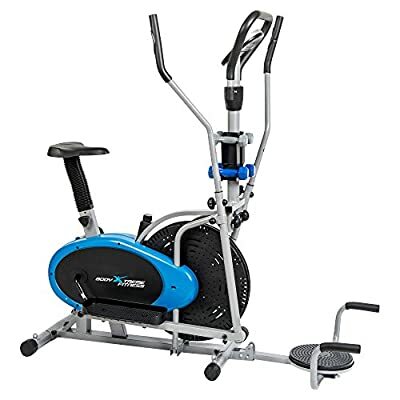 6-in-1 Body Xtreme Fitness Elliptical Trainer Exercise Bike - Home Gym Equipment, New Compact Workout Design, Hand Weights, Resistance Bands BXF001-T/PU + BONUS COOLING TOWEL!
? 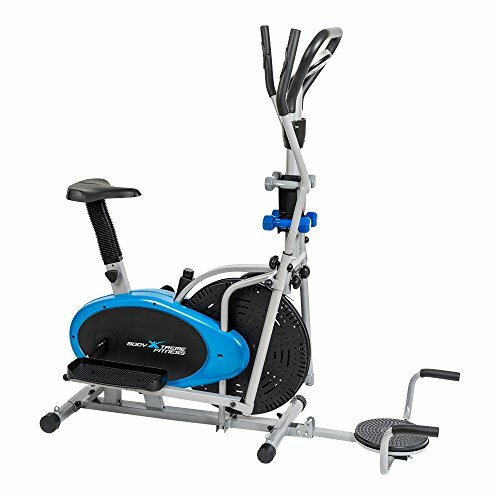 Newly designed 6-in-1 Body Xtreme Fitness Elliptical Exercise Bike! 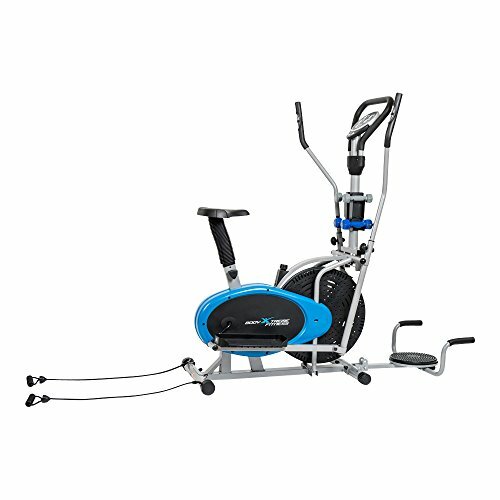 Natural elliptical motion eliminates any stress on joints and ankles ? 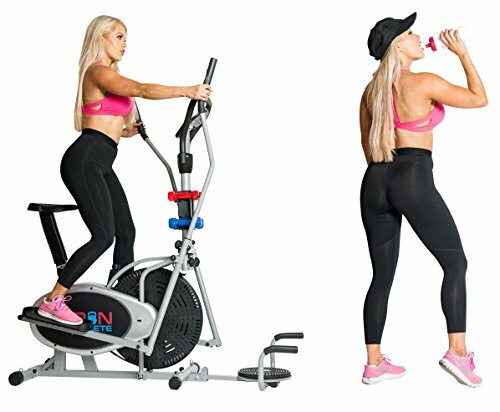 Also includes Ab Twister, Push Up Bars, Hand Weights (2lb & 3lb), and Resistance bands (can be fastened to front or back) for additional strength training ? Equipped with easy-dial tension adjustment to suit your own workout goals. High-momentum fan blades produce a gentle breeze as you exercise! ? 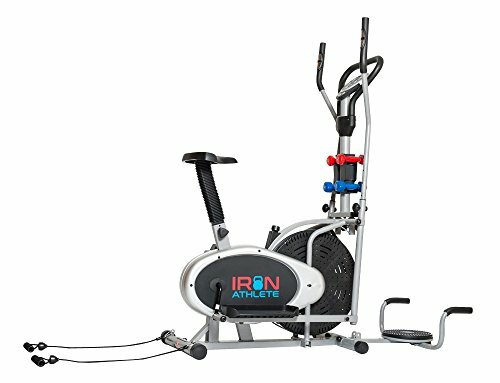 Features include: Pulse Sensors, Adjustable Seat, Cross Trainer Style Handle bars, and Large Monitor (Pulse, Speed, Distance, Resistance Level) to measure intensity. ? Whole Unit Dimension (Frame only) 43.4" x 19.7'' x 61'' (L x W x H) - ON SALE...HOT NEW RELEASE!